Who Cares About Murdering Babies? > In a way I’m surprised to see that if a baby is killed after being born in the Netherlands, my home country, people appear shocked and the police sets up a big investigation to find out who did it so this person can be prosecuted. The same applies to a lot of other Western countries. Why am I surprised? Because if the baby was killed just a few weeks before, while still inside the mother, it’s not called murder. Then the baby is called a “fetus” and the murder is called “abortion” and it’s claimed a “civil right.” How can we be so blind?! Look at the image. This is a photo of a so-called “aborted fetus”, 22-weeks after conception. Is this not a baby? If it was born at 21 weeks, doctors managed to keep it alive, and then at 22 weeks the mother decided: “oh wait, no, I’ve got a holiday coming up and I feel really bad and I don’t have the money, to raise this child,” is it OK to still get rid of it? reasons for abortions include: interference with holiday planning, financial challenges, unknown father, etc. I’m wondering: Do we really care about any murder at all, or have we become too wealthy and egocentric to care about anything other than our own “freedom”, comfort and wealth? If you are thinking about having an abortion, think twice, ask for information from both sides. There is help available from prolife-organisations, even after having had an abortion. > This picture speaks for itself. 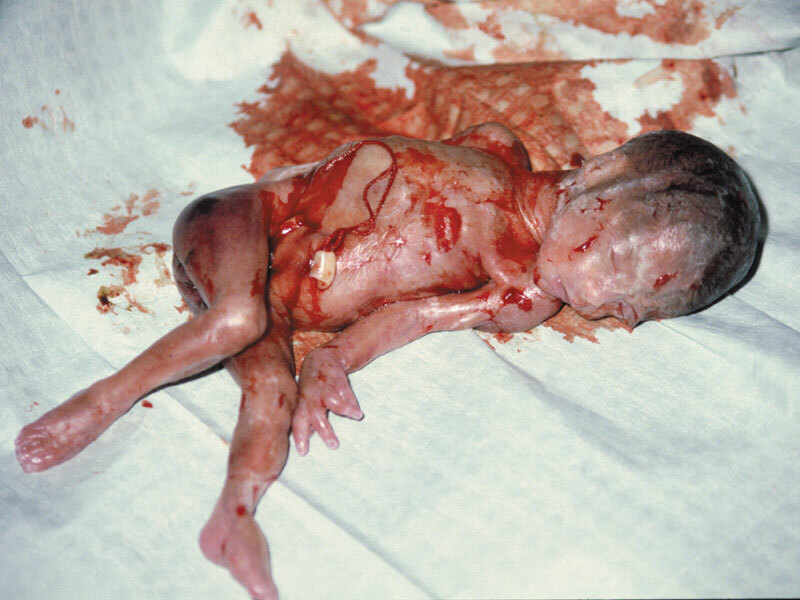 If you believe abortion is principally different from killing a baby, think again.